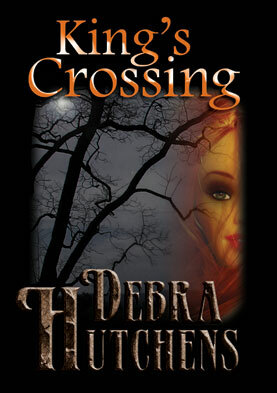 King's Crossing by Debra Hutchens. 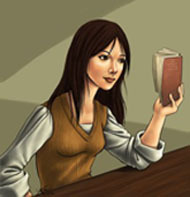 Published on August 11, 2010, Paperback, CSBR Press. I’m excited for the release of my new book, King’s Crossing. I love the art work cover shot, Gillian’s eyes, made more aglow with green against the deeply shading of eyelids. It tells the tale of unrequited love of a young boy who, throughout the course of his life, falls hopelessly, shamefully and endearingly in love with this one girl who won’t give him the satisfaction of loving him back. Before you blame the girl, remember, we’ve all been there. Ever have that happen to you? Ever experience the agony of love gone unrealized? Or even been that person that someone else is madly in love with? I do realize that what I just described seems an extreme case, but believe me, I’ve seen it many times over in real life. Some people might qualify these types of personalities as being obsessive, maybe a little ‘touched’, but even if it’s true, it’s a painful, needless suffering, one of the fewest that people will cope through. On behalf of these hopeless devotees, they would like nothing better than to cut their losses and move on, sever the ties of this pointless enslavement, but their minds are chained by some unknown force into having to have this one person who’s since been objectified beyond reason. And sometimes, as we’ve seen, obsessive, addictive love can become perilous. When you care deeply and affectionately for someone who just…well, they just don’t feel the same way as you do. They care about you. Emphasize it over and over again how much they wouldn’t want to see you get hit by a truck or anything, but they just. Don’t. Love you. This is Brandon Scott’s dilemma. He loves Gillian to a fault and believes to the depths of his soul, or rather in his case -his psyche- that destiny calls her to take her place at his side. Naturally, she refuses, rejects him repeatedly with an open honesty that sounds gentle from her end, but cruel as it reaches him. Yet Brandon won’t quit. She is his Psyche and he, her Eros. This is King’s Crossing, and things that happen here, happen for a reason. Brandon Scott loves Gillian so much- is so forcefully and turbulently connected to her, he can’t help but to ‘see’ things that affect her. Or to receive flashes of insights that touch her, torment or come to harm her. You see, Brandon is not just in love, he has a psychic talent that he can’t control. So in his mind, and almost convincing to hers, he is her guardian and her protector. But the Crossing delivers more than just their story. They are surrounded by friends (all offspring of the Crossing), and each with problems of their own. Each of them who are trying to find their way through life. Each one of them misguided in their own quest for love.